Diamond Star is a 9 yr old Reinlander by Diamond Hit. Diamond has a very expressive trot and canter. He shows great talent for FEI. This horse will be very competitive in a few months. 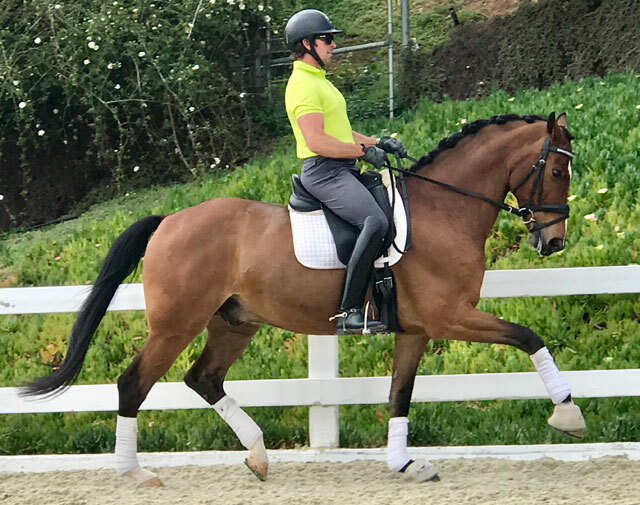 Diamond is very light in the contact and easy to sit,not spooky and just needs a little time to get the tempis changes before he cleans up in the ring with his new rider. Suitable for any rider.